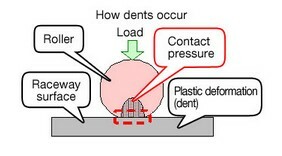 NSK Ltd. (Headquarters: Tokyo, Japan; President and CEO: Norio Otsuka) announced that it has developed a highly durable needle bearing for use in the planetary assemblies* of automatic transmissions (AT), hybrid electric vehicle (HEV) transmissions and belt continuously variable transmissions (B-CVT). This new bearing has an even longer life, and makes it possible for transmission manufacturers to make smaller, lighter transmissions. It can also be manufactured using existing production equipment, which will enable production in factories outside of Japan. NSK is targeting 1.2 billion yen in annual sales for this product in 2015. *Planetary assembly: A gear shifting mechanism used in ATs that adjusts output speed and torque by utilizing a combination of rotation and revolution movements of multiple gears. In recent years there has been a move toward tightening automobile fuel economy regulations on a global level, to the point that even some developing nations are requiring the same fuel economy levels as advanced nations. This, in turn, is driving the need for smaller, lighter ATs with lower frictional losses and higher efficiency. The demand is increasing for multiple gear ATs, HEVs and B-CVTs for automobile applications in developing nations, especially in China. As a result, demand has increased for the planetary assemblies needed for ATs, and there is an increasing need for localized production. Typically, a burdensome investment in production equipment would be required to start producing such sophisticated bearings. NSK, however, has developed a way to optimize the heat treatment process, making it possible to use existing production equipment and still increase the durability and dent resistance of the roller. This needle bearing achieves 50% more durability life and 15% more dent resistance compared to conventional bearings, which makes it possible to make it smaller and lighter. 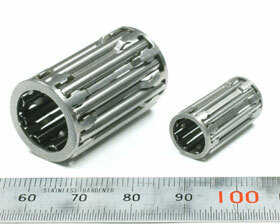 If a thinner bearing is the higher priority, then a 12% downsizing is possible. If a lighter bearing is the higher priority, then a 25% weight reduction is possible. Enabling ATs to be smaller and lighter improves vehicle fuel economy. High quality can be achieved utilizing NSK’s extensive global production network, because existing production equipment in developing countries can be used. NSK also plans to expand sales to high-volume markets throughout the world.